Ascot racecourse has always possessed royal associations. Queen Anne founded the course in 1711, and later King George IV inspired the first royal procession in 1825. After Prince Albert’s death, Queen Victoria never attended, but her son Edward Prince of Wales and his beautiful Danish wife Alexandra revived the royal procession. In 1897, the Prince’s horse Persimmon won the Gold Cup, and was also one of his 3 Derby winners. When Edward VII died in May 1910, full mourning attire was worn at the races, and the meeting was entitled “Black Ascot”. The green lawns peopled by shadowy figures in drifting dresses, and huge feathered hats. The gentlemen were attired in black frock coats and shining silk top hats. After the Second World War, Royal Ascot and its procession was continued. 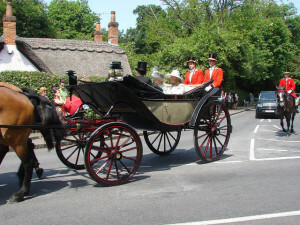 King George VI and Queen Elizabeth were seated in the first carriage. Queen Elizabeth wore blue, with her familiar 3 rows of pearls, fluttering around her shoulders, an ostrich feather boa. Glittering on her lapel was one of the most spectacular diamond brooches ever created by Cartier in 1939. A long stem of lilies studded with brilliant cut diamonds and six pear-shaped diamond leaves, its total length 17.2 cm. The Queen inherited the brooch from her mother, and wore it at the State banquet for President Zuma of South Africa in 2010. The young queen ascended the throne in 1952 and her first Royal Ascot was one of mourning. Princess Margaret, the epitome of 1950’s glamour was photographed wearing a grey lace dress and fitted bolero, by Norman Hartnell. 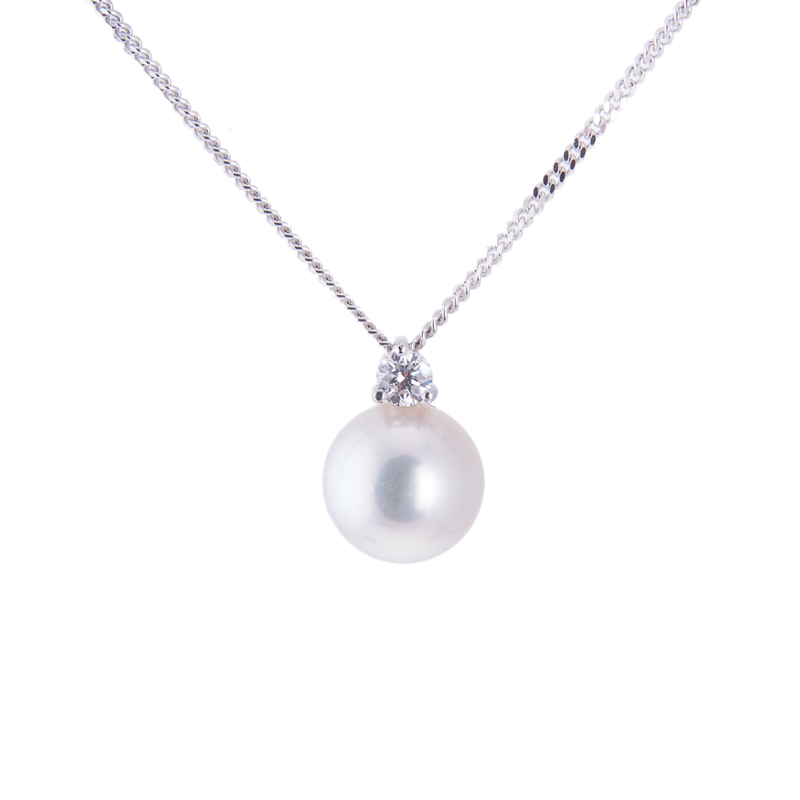 Above the low ruched bodice, she wore her favourite 5 row real pearl necklace on a large diamond panel clasp. It was given to her for her 18th birthday in 1948 by her Grandmother Queen Mary. 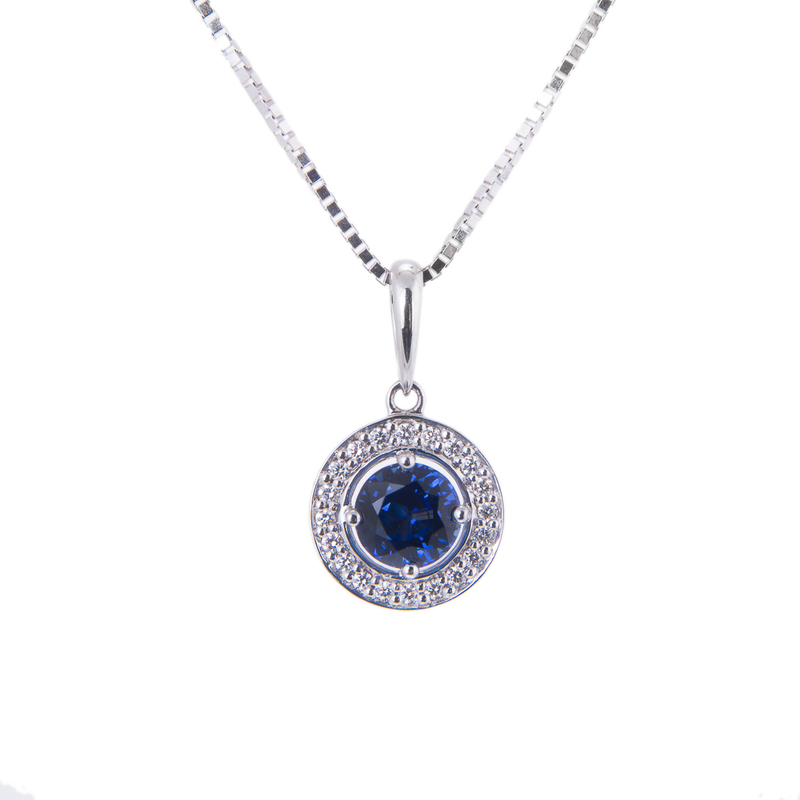 After the Princess’s death the necklace was sold at Christies in 2006 for £276,800. Horse racing, referred to as the ‘Sport of Kings’, is now truly the Sport of Queens, and it is fortunate to have Queen Elizabeth II as its greatest patron. She is an experienced owner and breeder, with a legendary knowledge of pedigree. Ascot week is always pencilled in her diary, and she attends on each of the 5 days. Her trainers try to ensure she has at least one runner during the meeting. 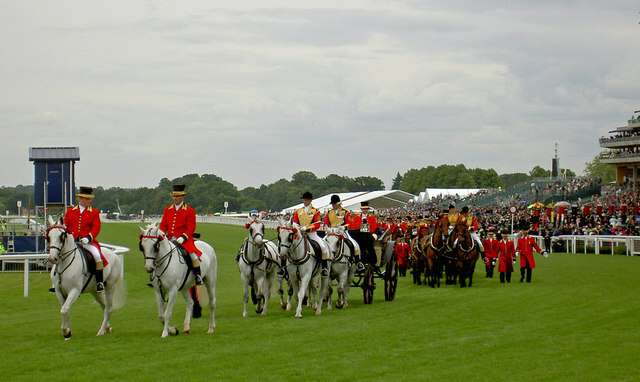 Until the late 1970s, the Queen – accompanied by members of her family and guests – would ride through Windsor Great Park, and hold their own mid-morning race along the course. In the afternoon they returned in sedater style! After the finest of the racing world’s thoroughbreds, fashion is the main interest. The crowds gather early along the white rails, and around the parade ring to view the fashions. Everyone would be craning for a close up view of the millinery and jewellery worn by the Royal party. Princess Michael of Kent wears her jewellery with true continental flair. Her late mother in law Princess Marina, was the royal fashion icon of the 1930s and 40s, and she attended the racing carrying a parasol, its handle covered in sapphires. Many pieces from her jewellery collection have passed to her younger son’s wife. In 2011 Princess Michael dressed in pale mint green, wore a long pearl and emerald bead rope around her neck, and attached to her jacket lapel was an emerald and diamond clover leaf brooch. 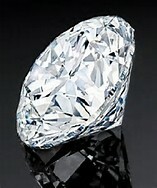 This heirloom had been a wedding present to the future Queen Mary in 1893. In 2013, her Majesty the Queen achieved her greatest Royal Ascot success, winning the Gold Cup with her filly ‘Estimate’ – echoing the victory of her great grandfather and Persimmon in 1897. The queen, dressed in a lavender coat and floral hat by Angela Kelly, wore a brooch whose provenance is one of the oldest in the royal jewellery collection. A large amethyst set within an irregular rayed diamond mount, it is part of a suite of jewellery that had belonged to the Duchess of Kent, mother of Queen Victoria. In Victorian times amethyst was the fourth most prized coloured stone, and of considerable value. The brooch is part of a suite that consisted of a necklace with pear-shaped amethyst and diamond drops, 3 brooches, 2 hair ornaments and drop earrings. As far as it is known, the Queen has only worn the suite twice, the first occasion being on her state visit to Portugal in 1984. Next week, from June 17th – 21st,the Queen will process once more down the course, a brooch as always sparkling on her shoulder. As the crowds cheer, the champagne flows, and the elite of the thoroughbreds pass the winning post – the royal style, elegant and majestic jewellery will be again the envy of the world.